I love word-play, and so I already had a soft spot for Roganic (switch the ‘R’ with the ‘O’ and you’ve got organic – pretty neat right?). 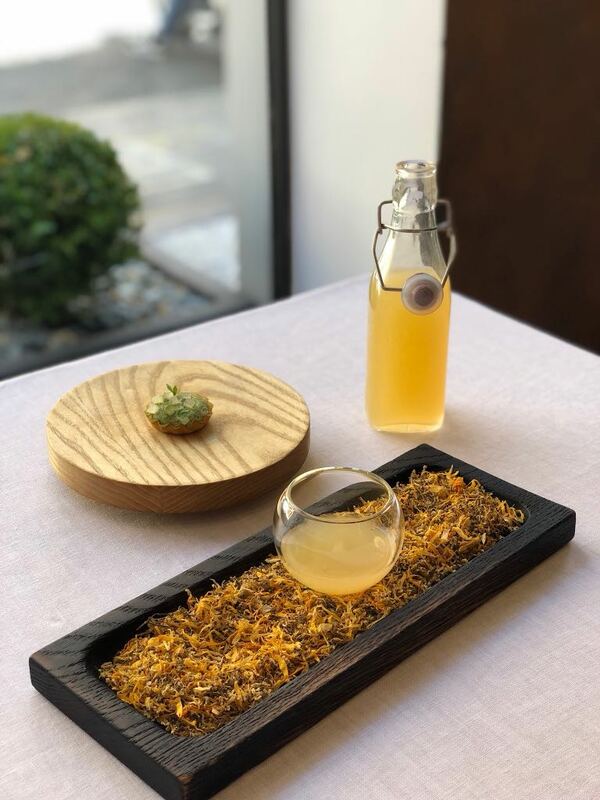 Roganic started life as a pop-up and is now a permanent resident in Marylebone, channelling elements of L’Enclume, Simon Rogan’s two Michelin star restaurant in the Lake District. 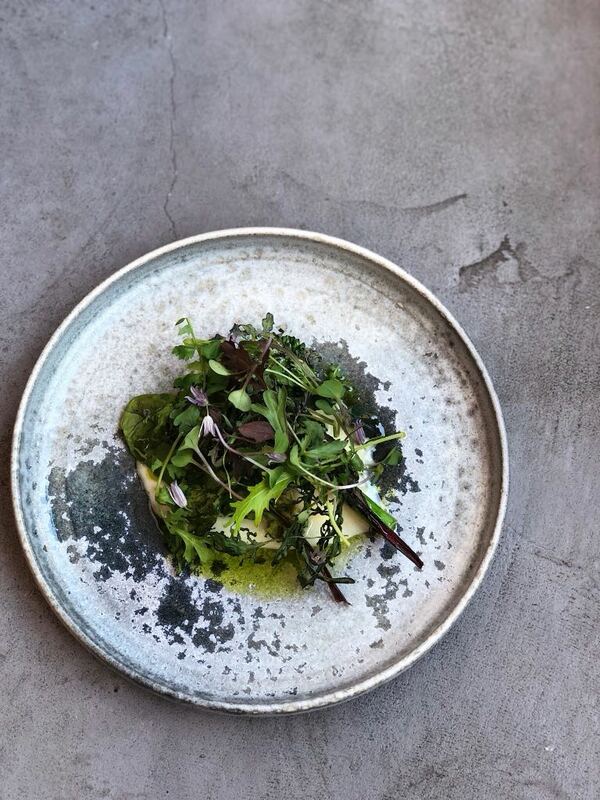 The Roganic menu is unabashedly avant garde, using only produce from stellar suppliers around the country including Simon’s ‘Our Farm’ in the Lake District. I have yet to visit the Lake District properly, and the allure of ‘Our Farm’ is magnetic (see image below from Simon Rogan’s website). The current Roganic team is comprised of the original Roganic line-up. 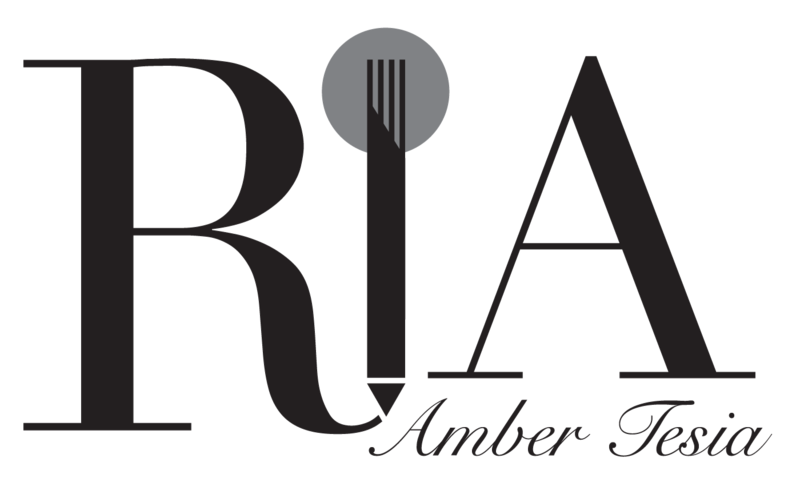 This includes General Manager James Foster and Head Chef Oli Marlowe (formerly at Fat Duck and Eleven Madison Park ) whom I had heard good things about. We had travelled down to London for the day (thank you to East Midlands trains for a flawless journey). Our reservation was for a 1pm lunch, and we found our way to Marylebone one hot, humid afternoon, desperate to seek refuge in the cool indoors. The first thing that hits you is the emphasis of all things nature. Glass, anthracite, mushroom and buttery beige tones abound. After a warm welcome, we were seated promptly and handed the lunchtime set menu. It’s a great menu, and one that is sparse on detail, yet over-delivers with eccentricity and genius cooking. We started by sipping on the pear, elderflower and chervil concoction. Sweet yet punchy with a slight citric tang was good as a palate freshener. Now, what wasn’t included on the listing was the awe-inspiring soda bread. Pillowy-soft in texture, it was like eating gossamer manna, and perfect with lashings of sea-salt sprinkled butter. Starter of grilled salad, Westcombe and truffle defied expectations. Varying levels of salt from the seasoned kale and cheese hit the palate at different times, creating a wonderful harmony finished off by fragrant truffle. I love truffle. You know when brides walk down the aisle carrying a bouquet? I’d quite happily truss up a bunch of truffles and make that my wedding bouquet (just don’t expect me to throw it for the next bride-to-be, truffles are all mine). The addition of Westcome Cheddar is genius, as hazelnut and caramel notes mingled with the citrus continued to develop their flavour well after eating. I’m not a huge fan of duck. The flavour can be a little too gamey. Not so today, for the main of Cornish duck, whose flavour was accentuated by the dry-ageing process. It felt richer, but without the intense gamey flavour. The meat was tender, wondrous in its pink glory, and even better when swiped through the accompanying jus. Medallions of pickled turnip were a nice surprise, the barely-there tang of the pickling liquor marrying well with the duck. 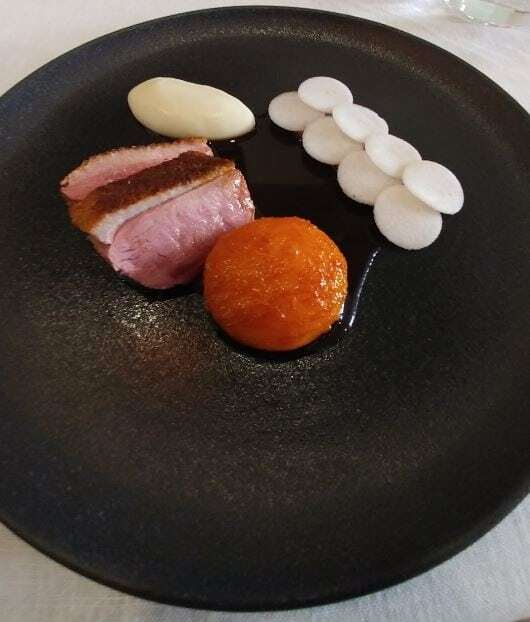 I would never have paired apricot with duck, but then again, I’m not the genius that is Simon Rogan. Oh I would love to climb into his head to see how he pairs ingredients with such aplomb. Soft and slightly fudge-like in texture, it took a few seconds for the apricot to disintegrate in the mouth, coating the duck in a sweet, fruity glaze that elevated the duck to the next level. I was mad-keen on visiting Roganic for my birthday to eat dessert, and caramelised brioche with strawberries and buttermilk did not disappoint. Succulent strawberries and flavourful buttermilk with hint of acerbic sweetness was delicious. 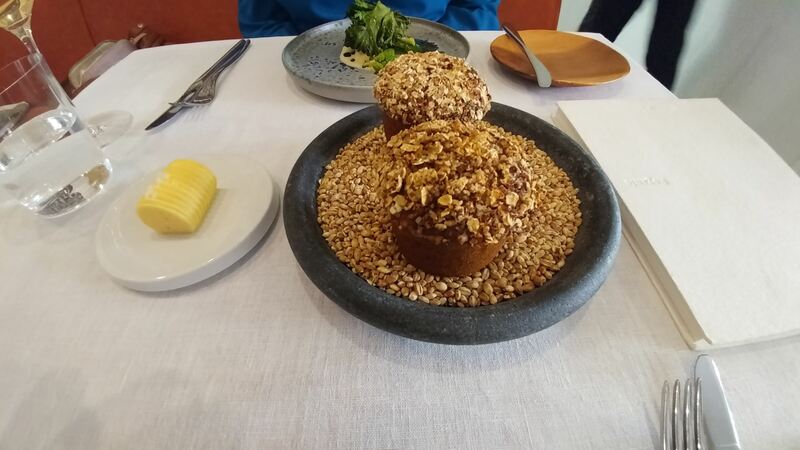 My favourite part of the dessert was the burnished brioche, slightly bittersweet where the caramel had caught, betraying its beautifully buttery insides to guarantee eating in a most unladylike fashion. Sparkling wine (Davenport Limney Estate East Sussex 2013) was the delicious drink that kept us sated throughout the meal. Ripe apple with floral citrus notes were deliciously dry, yet the fruit-tinged aftertaste was wonderfully resilient on the palate. 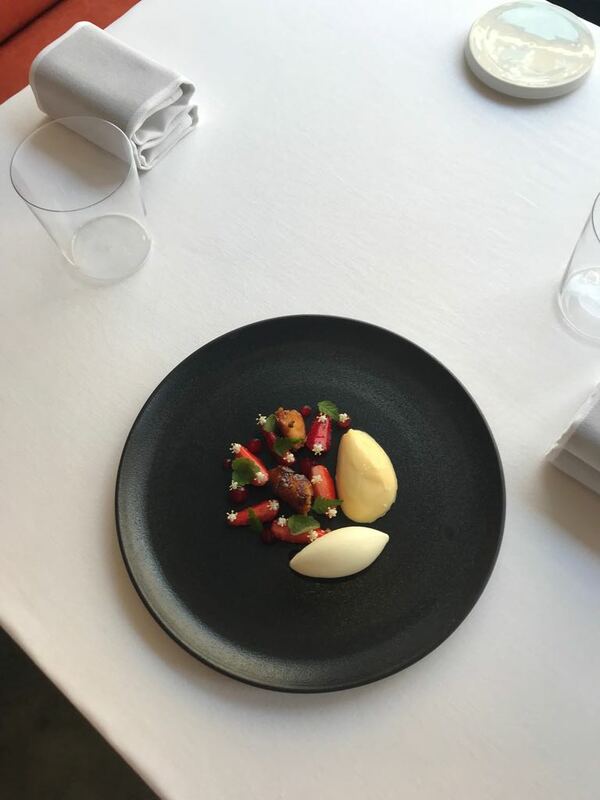 Dining at Roganic is much like discovering your favourite author (Alexandre Dumas / Matt Haig) – a heady, unforgettable experience. Thank you to James whose effortless service made my birthday very special. How to make reservation: Online reservation form, email reservations@roganic.uk, telephone or Bookatable. Whilst in the area: Walk across the road to the Daylesford, a chic all-day deli to pick up an organic salad for supper, or to dine in for a spot of light lunch and steaming coffee.